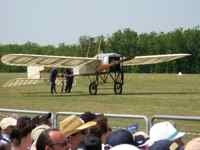 Prehistoric Flight - Really Early Flight! Way Earlier Than Antique Airplanes! …not even myths like Icarus with his wings of wood, wax and feathers. The American Museum of Natural History has a touring exhibit that we saw at the California Academy of Science in San Francisco. 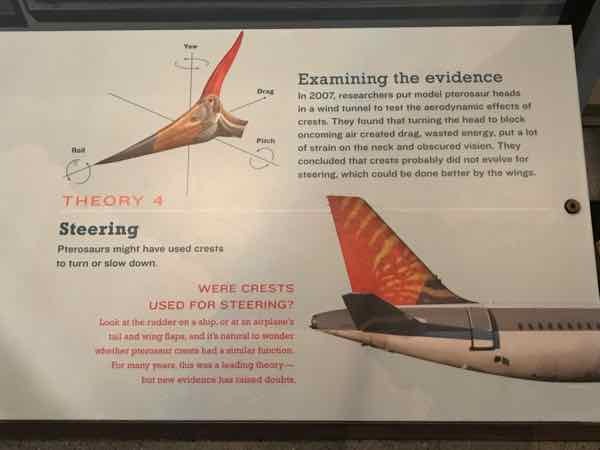 But Pterosaurs took to the air millions of years ago… they were around from 220 million years ago or so and went extinct 66 million years ago. Now insects were flying even way back then, but Pterosaurs were the first animals with backbones to fly. So maybe I've teased a bit, but don't you think all flight is interesting? Let’s get the terminology straight. Pteron comes from Latin for wing, and sauros means lizard... so winged lizard. Makes sense, eh? 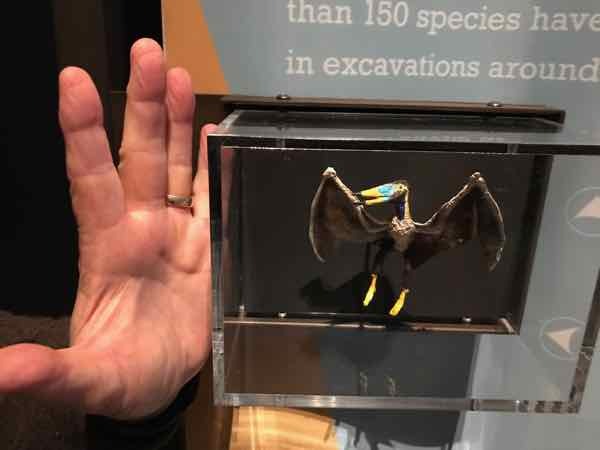 Some of the first fossils found were called Pterodactyls because their wings are actually membranes attached to a very, very long 4th finger... so "wing finger". You and I might use the terms interchangeably, but scientists don't. All are most properly called Pterosaurs. And they are related to dinosaurs, but they are on a different branch of the family tree. They launched from a crouch... no runway needed. 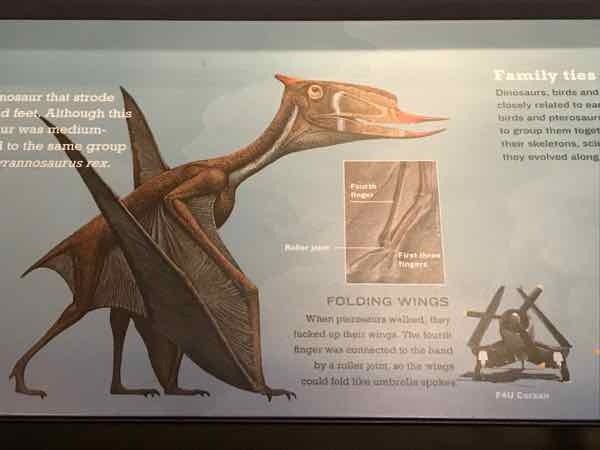 Pterosaurs folded their wings when not flying… like a bent wing bird. Then they walked on their wings… well, not really…. With their “finger wings” folded, they walked on all fours. Just like early flight in what we’ll call “the modern age” of flight… these Pterosaurs came in all sizes and shapes. With wing spans of only 10 inches to wing spans of 33 feet (10 meters). They evolved with bills of all kinds for finding food. ...though current theory says it created too much drag for that. The dynamics of prehistoric flight weren't that different from today. 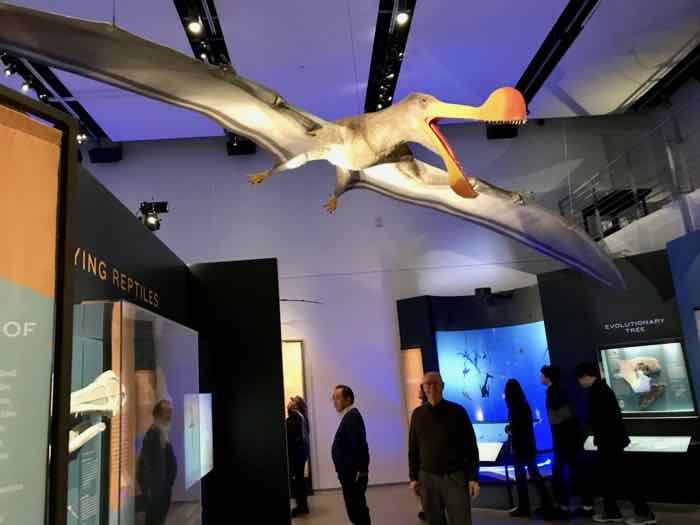 Scientists have determined that Pterosaur wings were thicker at the front than at the back. The airflow over this shape created a pressure difference between the top and bottom of the wing… generating lift. 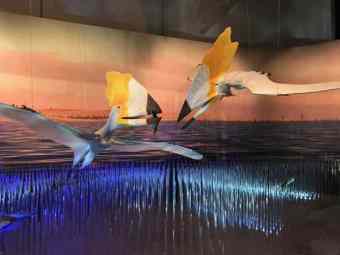 Larger Pterosaurs tended to glide more… just like large birds. Smaller ones flapped more to fly. Maybe a fun exhibit like this will encourage some young people to learn to fly themselves…. wouldn’t that be great. You probably got way more information on Pterosaurs than you wanted. 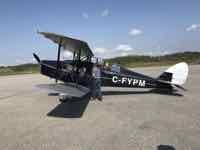 Sometimes I just get a kick out of writing something off the wall about flight… and you gotta admit, prehistoric flight goes WAY beyond antique airplanes! 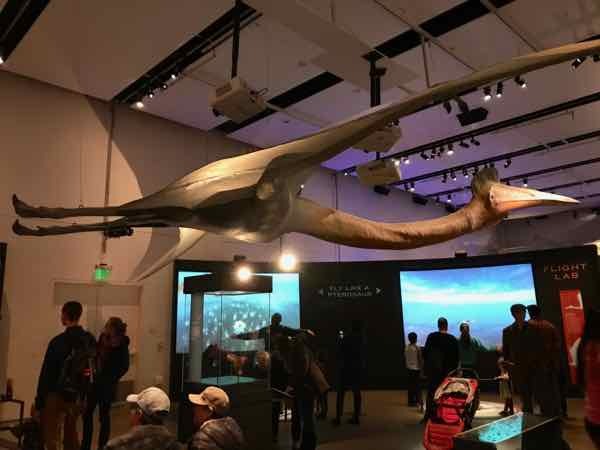 The exhibit is gone from San Francisco now, but if you want more information you can start researching at the American Museum of Natural History site.